Isabela Moner, Benicio Del Toro, Josh Brolin et al. DVD: 117 min., Blu-ray: 122 min., 4K Blu-ray: 122 min. 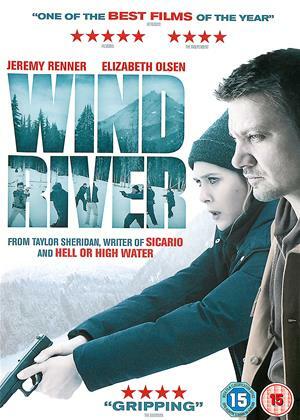 In the drug war, there are no rules - and when the U.S. government begins to suspect that cartels have started trafficking terrorists across the US border, federal agent Matt Graver (Josh Brolin) calls on the mysterious Alejandro (Benicio Del Toro), whose family was murdered by a cartel kingpin, to escalate the war in nefarious ways. Alejandro kidnaps the kingpin's daughter to inflame the conflict - but when the girl is seen as collateral damage, her fate will come between the two men as they question everything they are fighting for. I really enjoyed the first movie and thought this one was just as good. Ignore the PC'ness of the Cinema Paradiso review, which seems to allude to pleasing the Feminist Brigade whilst ignoring the horror of Religious Extremism and Terrorist acts! 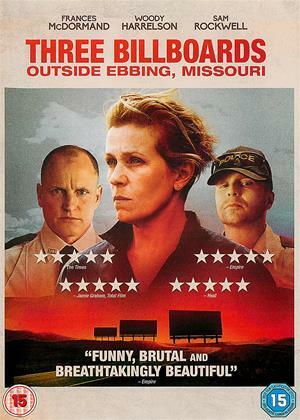 Films like this are needed to remind us of the real horror out there, showing us just how petty and cruel those on both sides of the law can actually be! At first this film explores the uncomfortable issue surrounding Muslim Extremism and Terrorism, then takes us back to South America, Mexico specifically and the connections between organised crime and terrorism. The film is a hard and fast driver, with some quieter ambient moments and given the subject matter, lots of humanity and soul searching thrown in for good measure. To my mind, this film is much better without having a superfluous and irrelevant major female lead just for the sake of it, because the young kidnapped girl take over this role effortlessly! All in a really well made, hard gritting action movie that really hits the spot! OK so some don't think it is as good as the first film. Well, it isn't a copy of the first film so no need to worry, this is a good thriller with plenty of action and entertainment; just take it as it comes and you won't be disappointed. it kept me interested all the way through. Go for it! 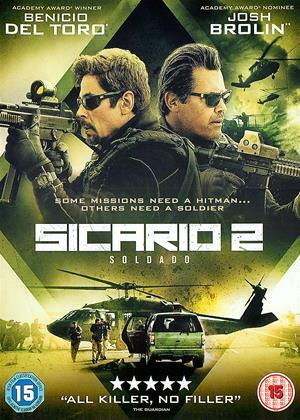 Loved Sicario 1 and Sicario 2 is almost as good. We missed Emily Blunts character but the other two leads return and develop their roles. 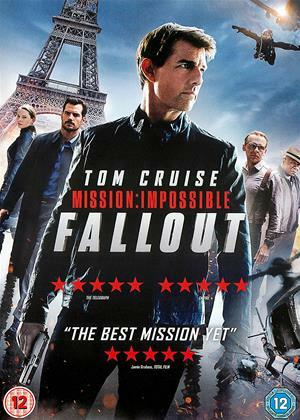 It is very spectacular and violent, and the action scenes are excellent. Sadly their is a huge continuity fault near the end, two in fact , that almost spoil the movie and I cannot understand why anyone involved in the production did not spot them at the time. This superior sequel is an exercise in tension. The CIA starts a Mexican drug cartel war as retribution for a terrorist attack. It’s complicated, with plot and dialogue so dense that you may even find subtitles a help to understand the military small talk. 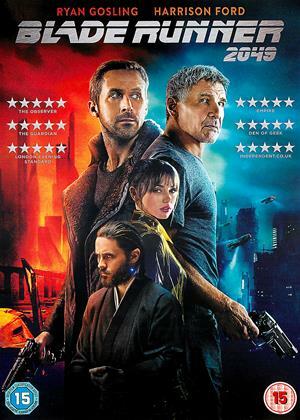 The plot gradually focusses in on agents Josh Brolin and Benicio Del Toro, who find themselves being forced by circumstances onto opposing sides. There’s plenty of action, although the tone, underpinned by a grumbling score, is tense rather than gung-ho. You might wish the leads would occasionally show a bit more fear or excitement, but pay close attention and you’re in for a thrilling couple of hours. There’s a far bitter taste to the despair of Day of the Soldado, a darker sequel to the already depressing Sicario. It takes aim on the no-win war of Mexican cartels once more but does away with its stray bits of contemplation and dwindling morality that makes the punches hit harder. Without Emily Blunt present to grit her teeth as she struggles to seek justice when dirty tactics are pulled on both sides, we’re left with a typical thriller of sour emotions for watching the corrupt law versus corrupt gangs. It’s still an engaging experience but nowhere the same degree as its predecessor which had something to say about the drug wars. Day of the Soldado doesn’t say much besides suggesting a look at how terrible this situation is with no end in sight. And because it lacks a relatable character, that message is likely to get lost in the action. The returning characters of CIA agent Graver (Josh Brolin) and loose-canon operative Gillick (Benicio del Toro) have been given more room to practice their dirty gang-busting tactics in the wake of recent terror attacks believed to have spawned from border-jumpers. Realizing a full-on war is not as sustainable, they devise a strategy to make the cartels fight amongst themselves. 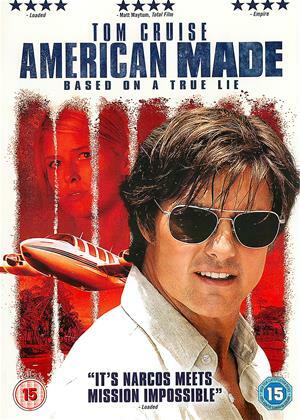 Their plan is to kidnap a cartel boss’ daughter and stage her kidnapping as that of a competing cartel. It sounds simple enough to the CIA with their hefty amount of tracking technology and extra firepower. But it won’t be. Things will go wrong, alliances will be broken, and blood will be spilled. I expected things to go south but not to such an explosive level. The gunfire, car explosions and violence has been ramped up to a degree that borders on audacious. And considering there’s no Blunt equal to find some semblance of humanity left in this struggle, our protagonists are the ones in the wrong, easy enough to lead the audience into uncomfortable laughter. Take the scene were del Toro guns down a Mexican gangster in the streets of Mexico City, letting his victim live long enough so he can impressively fan the trigger. We should be shaken by the scene but its staged in a manner more fitting of a Death Wish sequel. All things considered, what does hold the film up are the performances. Brolin still has a bold nature to his straight-faced approached to rather dirty and bloody tactics to win by any means necessary. He walks into any room and you know he has enough control to not only play by his rules but mock others that defy him. Benicio del Toro is just as intimidating with a weary expression of loss that fuels his ruthless nature to effortlessly gun down gangsters and toss grenades in their cars. I even dug Katherine Keener as the higher-up that chews out Brolin’s methods as the narrative gets muddier. It feels strange that the hopeless atmosphere is ever present and yet never feels fully utilized in this story of drug wars gone awry. Nothing new is given to us in Day of the Soldado; only a repeat lesson in how horrible the world can be in a battle that lacks empathy on the part of its warriors, leading us down a never-ending tunnel of despair that can only go lower. But without any character left to break down and crumble as the night grows thicker, all we’re left with is the smoldering ashes of civility that continue to burn. There’s still some spark left for the commentary it weaves but it's a sorrow flame so faint that you’ll have to peer to appreciate the picture past its simplistic action showcase.